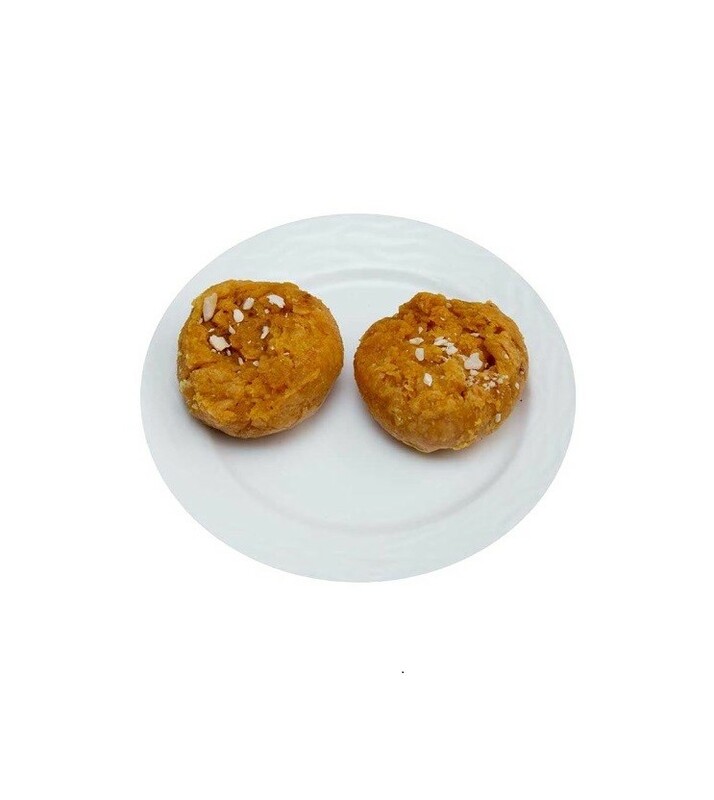 Buy Makkhan Bada of Rawat Misthan Bhandar from Jaipur online | Authentic Indian Sweet , Savories and Delicacies from the place they originate by Moipot. Wrapped in pure ghee and dunked in sugar syrup, makhan bada from Rawat Misthan Bhandar must be on your to-eat check-list. This sweet resembles balushahi and is scrumptious, blissful and exotic all at the same time. Callous from the outside and soft on the inside is a dessert heaven!